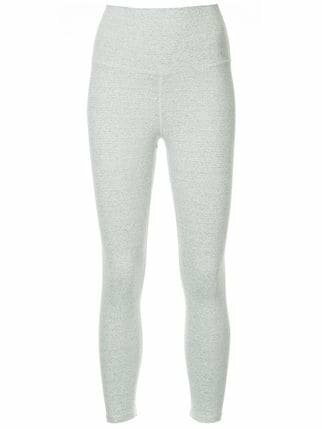 Light grey Yogi High Rise 7/8 leggings from Nimble Activewear featuring a high waist, a fitted silhouette, a lightweight construction and a cropped length. 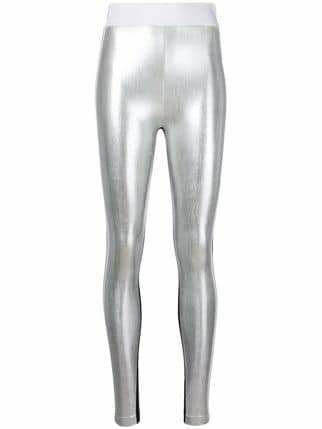 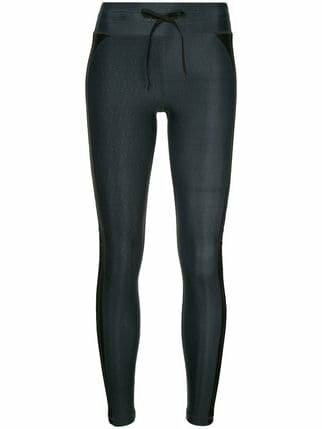 Silver-tone contrast side panel leggings from NO KA´OI featuring an elasticated opening, contrasting side panels and a metallic sheen. 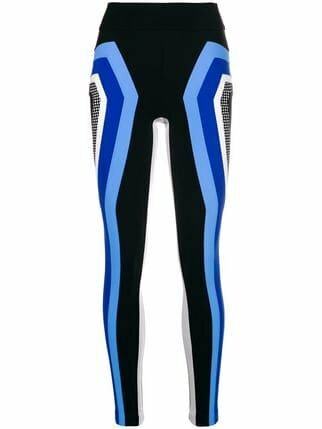 Navy blue and black side strap print leggings from The Upside. 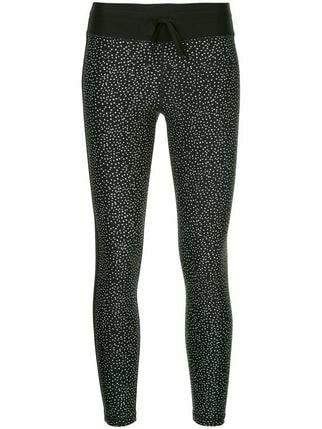 Black and white star printed leggings from The Upside featuring an elasticated drawstring waist, a skinny fit, a cropped length and a star print. 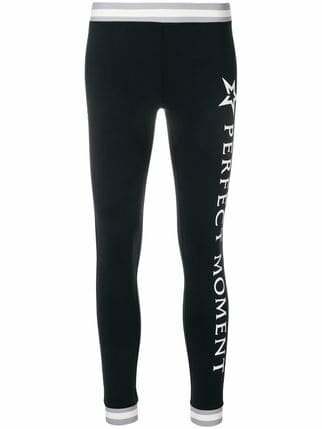 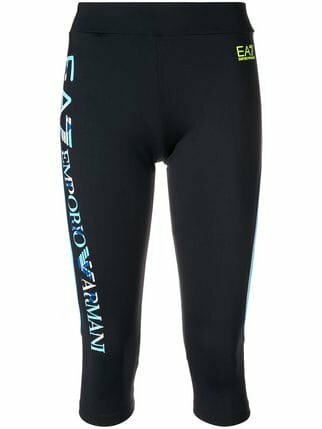 Black logo print leggings from Ea7 Emporio Armani featuring an over-the-knee length and a fitted silhouette. 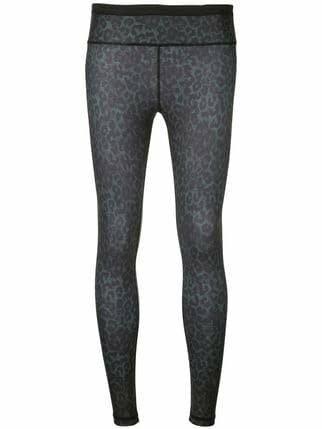 Light lilac Studio to Street 7/8 laser cut leggings from Nimble Activewear featuring a high waist, a fitted silhouette and a laser cut design. 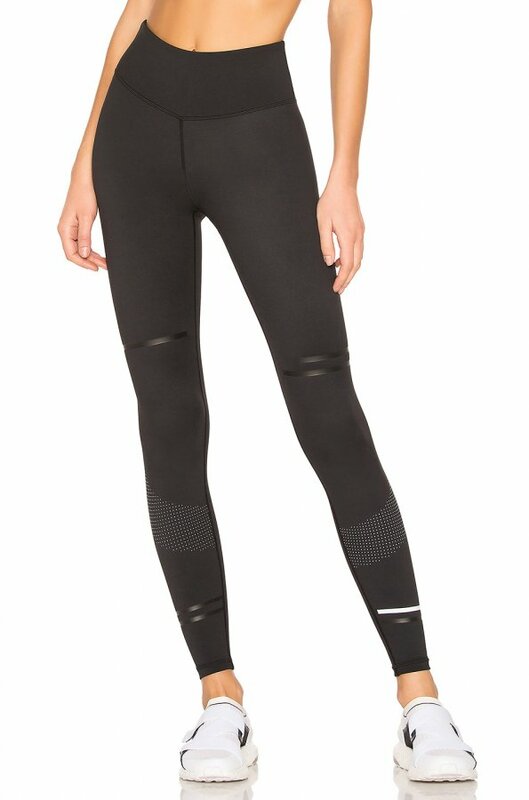 Black and white cropped leggings from The Upside. 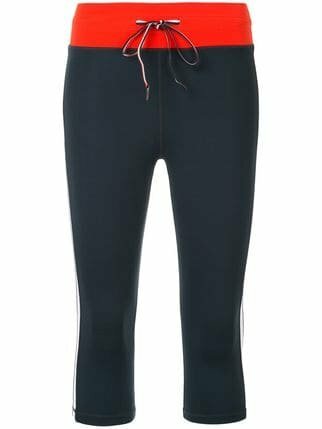 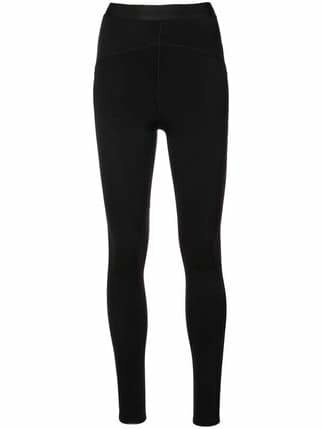 Black Lauren 7/8 leggings from Nimble Activewear featuring a high waist, an elasticated waistband and a fitted silhouette. 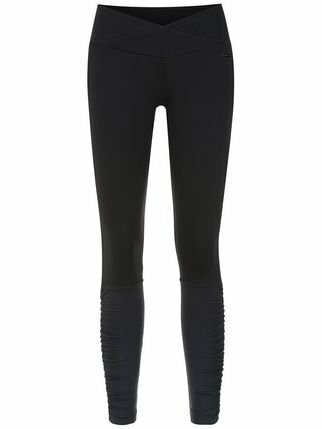 Black Twist leggings from TRACK & FIELD featuring a mid rise, a wrap style front and a slim fit. 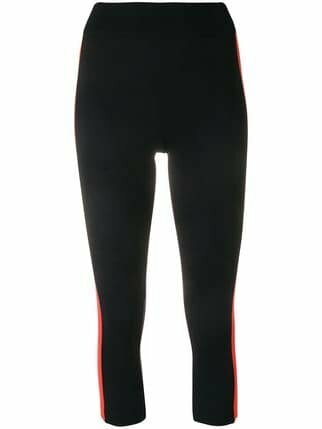 Multicolour cropped side stripe leggings from NO KA´OI featuring a high waist, a fitted silhouette, a cropped length and a stripe detail to the side. 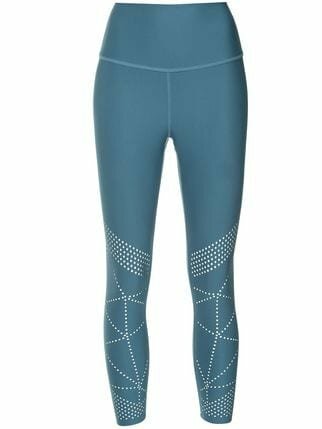 Teal blue Studio to Street 7/8 laser-cut leggings from Nimble Activewear featuring a high waist, laser-cut detailing and a slightly cropped length. 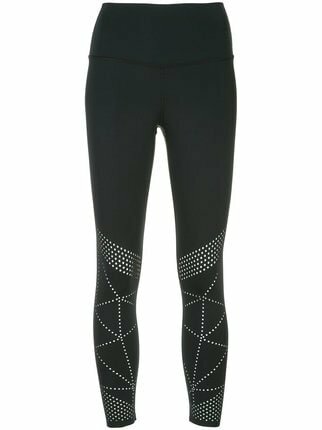 Multicolour colour block performance leggings from NO KA´OI featuring a high rise, a stretch fit and a regular length. 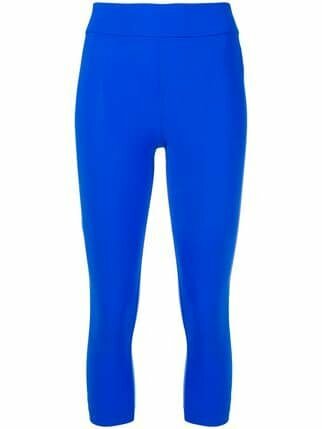 Blue Keia capri leggings from NO KA´OI featuring an elasticated waistband and a stretch fit. 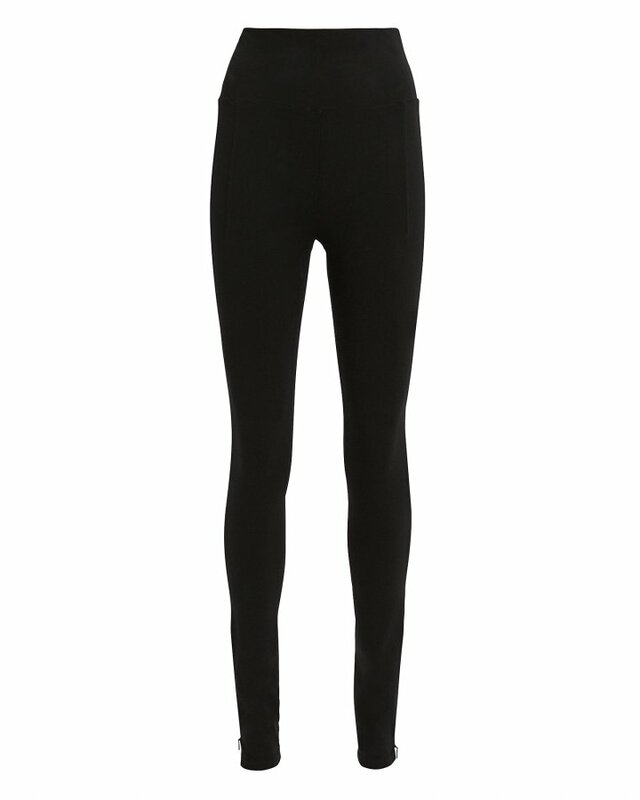 Black High Waisted Leggings from Cushnie Et Ochs featuring an elasticated waistband and a regular length.